Please find below information to help you reset or change your password. Does not contain the current username. Does not contain more than 3 consecutive repeating characters. In your Appspace console, click the user icon in the upper-right corner to access the user profile, and click the username link. On the User Profile page, click Change Password. Enter your current password followed by your new password, and click the Update button. If successful, you should see a Password Change Complete confirmation message. Click OK.
Click Save on the User Profile page. Go to the Appspace Cloud login page at https://cloud.appspace.com. Click the ‘Forgot your password?’ link. 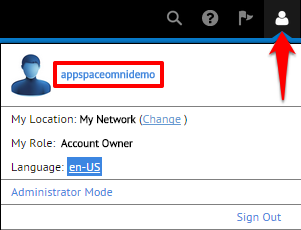 Input the e-mail address associated with your Appspace Cloud account and click RESET PASSWORD. An email will be sent to the email address you provided. Once you receive the e-mail from Appspace, click the link provided. Your web browser will be redirected to a page that allows you to choose a new password for your account. Enter a new password, and click SUBMIT to complete the process. You may login to Appspace using your new password.